Beth Ann Bonnecroy is in demand as a conductor, singer and teacher of voice. Beth Ann’s foundation as a singer and extensive experience as a voice teacher shape her priorities in conducting. Healthy singing and development of singers’ personal vocal technique are emphasized in the choirs she conducts, and contribute to the free, beautiful sound her choirs achieve. On the staff of Northwest Girlchoir, Beth Ann conducts Vivace, a choir of middle school level singers. Under Beth Ann’s direction, Vivace performs extensively around the Puget Sound region and travels annually to share its music outside the Seattle area. Past travels include choral festivals in Oregon, Montana, Colorado, British Columbia, and Hiroshima, Japan and a 2010 performance tour in Hawaii. Beth Ann is a member of the music faculty at Seattle Pacific University where she teaches class and individual voice instruction and conducts the SPU Women’s Choir. A life-long church musician, Beth Ann has conducted church choirs and handbell choirs of all ages. She is currently a member of the music staff of Phinney Ridge Lutheran Church in Seattle where she conducts the Chancel Choir and Handbell Choir. An accomplished soprano, Beth Ann is a frequent recitalist in the Seattle area. Beth Ann holds a Bachelor of Music degree in church music/voice from St. Olaf College in Northfield, MN and a Master of Music degree in voice performance from Arizona State University in Tempe, AZ. Rebecca Rottsolk served as artistic director for the Northwest Girlchoir from 1982 until 2001, building the Choir into one of the most respected youth choral organizations in America. Now retired, Rebecca frequently presents workshops on girls’ voices, conducting and rehearsal techniques, inspirational teaching and techniques for maximizing performance. She enjoys a national reputation as guest conductor and clinician, conducting many all-state and regional festival choruses including 2010 California Women’s All-State Choir, 2008 Indiana Women’s All-State Choir, 2007 Choral Perspectives, 2006 Colorado Women’s All-State Choir, 2006 NWACDA Children’s Honor Choir, 2006 Idaho All-State Children’s Choir, 2005 TexasMEA Women’s All-State Choir, 2002 & 2004 Pacific International Children’s Choir Festivals, Fort Worden Festivals, and numerous other workshops and festivals in more than 25 states. Rottsolk adjudicates for Heritage Festivals and edits a choral series for Alliance Music Publications. 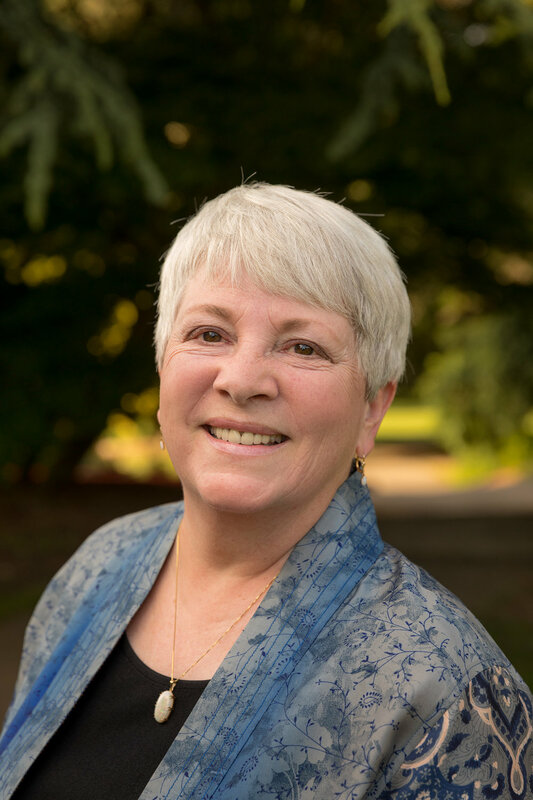 She currently conducts two adult community choirs on the Olympic Peninsula and is co-founder/director with Beth Ann Bonnecroy of Mirinesse Women’s Choir in Seattle. Mirinesse was honored to perform at the 2009 National ACDA Convention in Oklahoma City. Rebecca received her B.Music from St. Olaf College, her M.A. from Pacific Lutheran University, and received her CME Artist-Teacher diploma in 1992. The 1997 recipient of the Washington ACDA Award for choral leadership, Rottsolk also served as National R&S chair for Children’s Choirs from 1998-2004. Dwight Beckmeyer is one of Seattle’s most versatile musicians, performing in the musical theater, choral, symphonic, jazz, gospel and collaborative recital worlds. The Seattle Symphony often calls on him for Pops concerts (Pee-Wee Herman’s Big Adventure, PIXAR etc.) and he is proud to be on several S.S.O. Ives recordings, as well. He has performed in over 50 Musical Theatre Productions with the 5th Avenue Theatre, The Paramount Theatre, The Village Theatre and ACT. Highlights include SWEENEY TODD, WICKED, JERSEY BOYS and BOOK OF MORMON. Dwight also appears with the Jazz Police (big band). He has soloed with numerous Pacific Northwest orchestras including Rhapsody In Blue with the Bellevue Philharmonic, the Grieg Piano concerto with Everett Symphony and Beethoven’s 3rd Piano Concerto with Thalia Orchestra. Dwight toured to Johannesburg with Lee Oskar and Friends and was the accompanist for the Northwest Girlchoir for 16 years. Presently, he is the accompanist for Seattle Pro-Musica and is excited to join Mirinesse this season!